Created in 1999, the Tourmalet Giant is a homage to the winner of the first stage of the Tour de France in the Pyrenees, Octave Lapize. 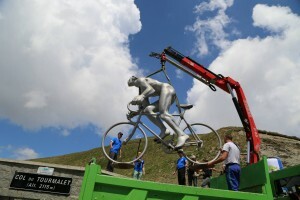 In the Winter the sculpture shelters from the snow in the Laurent Fignon centre in Gerde. On the first Saturday in the month of June, he climbs back to the Col to pass the Summer. 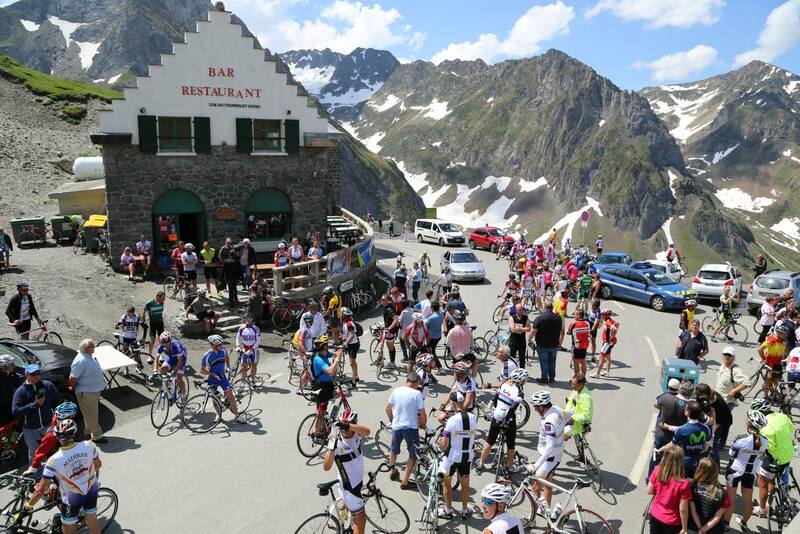 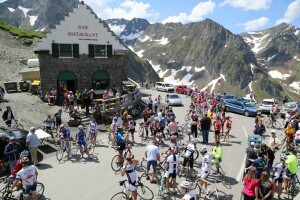 This springtime event is what we call the “Montee du Geant du Tourmalet”. 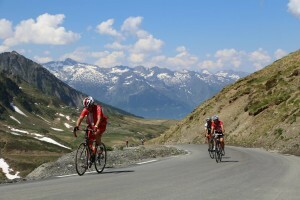 It is not only a challenging sporting trial for cyclists, who follow his route, but also a festive get-together for the public.